This dish was so quick to put together, that is if you already have chili on hand. Perfect for a busy weeknight meal. Be sure to put this one on your dinner rotation this week and happy Tuesday! Preheat the broiler. Grease an 8-inch glass baking dish with olive oil or butter. In a large bowl combine cooked macaroni, chili, sour cream, scallions, cilantro and chopped tomatoes. Mix well and pour pasta into the prepared baking dish. Sprinkle cheddar and pepper jack cheese over the top. Then dot the entire dish with butter pieces. Place the baking dish under the broiler until the cheese melts and the top is slightly brown, about 4-5 minutes. Remove the baking dish from broiler and let it sit for 5-7 minutes before serving. I’ve heard the mark of a true Good Cook is when they can use whatever they have – and make something fabulous out of it. And this looks fabulous!! Talk about ‘stick to the ribs” and “comfort food”!! Such a creative idea, here!! Love this one, Anne, and we will be giving it a spot on our evening menu this week! Thanks for the wonderful post. This looks SO good, Anne! This looks fabulous Anne! I love pumpkin in savory recipes! Looks so comforting and warming! This is so smart, Anne. I am no good at twisting and turning leftovers around. My family can expect to see it again in a day..hehe… I have recently discovered that my freezer is a really good friend. I now freeze a lot of things – bread, brownies, stew, pasta sauce…I love having things ready and on hand. I could eat way too much of this! It looks fantastic. Do you deliver to NY?? This looks amazing!!! Great idea to transform your leftovers! I pretty much just fell in love. Goodness! I love re-purposing leftovers to make something completely different! This pasta dish looks wonderful Anne! I still want to try that pumpkin chili – I need to remember to put it on my weekly meal plan! Yum, this looks just as delicious as the pumpkin chili did. I have a hard time with leftovers. My husband will eat them, but my kids won’t touch them. I usually just try to make what we will eat with maybe a serving left. love a good left overs idea! though this looks way better than our reinvented left overs, sigh. Have a good week! This recipe and the chili recipe need to be filed together so that I remember to make too much chili on purpose! When schedules are hectic, its great to come home to a dinner that is half cooked already! Oh this looks delicious, I really must try to make this! What a genius idea repurposing your chili! This dish looks just delectable. You’re always serving up such wonderful entrees! I think Anne’s created my new favorite Fall dish. The chili was really tasty, but the addition of the macaroni gave it a really nice texture…and then melt a bunch of cheese on top?? That’s just brilliant. When worlds collide! 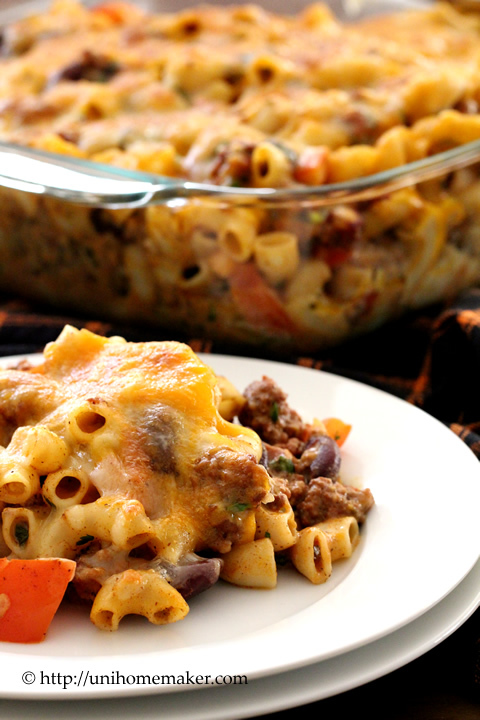 You’ve combined my top food groups of Fall: pasta, chili, pumpkin, and cheese. Food doesn’t get much better that this, Anne. What a great dish! This is precisely why I love leftovers! 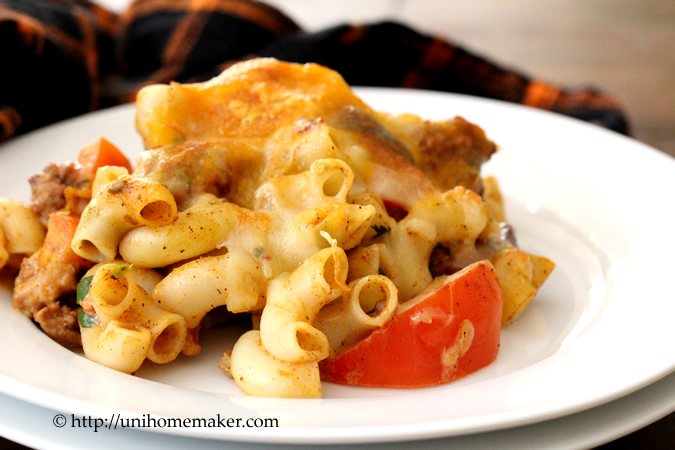 I love a good baked pasta dish too! 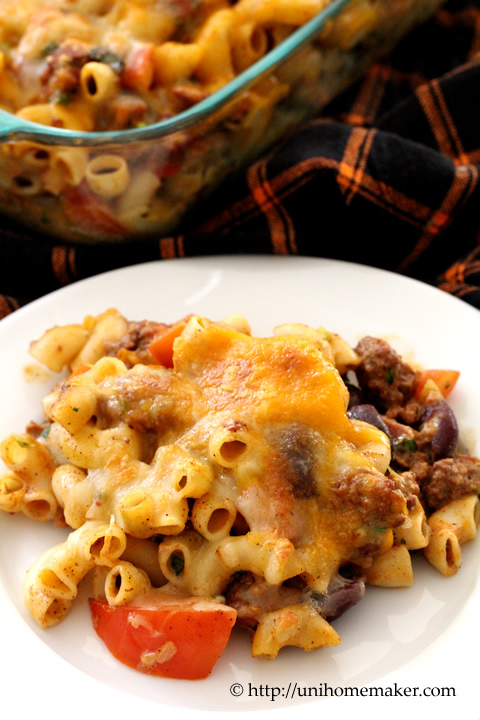 So quick and simple for busy weeknight dinners. And this is such a creative use for your pumpkin chili! Great idea for changing up leftovers! I’m so excited to try BOTH recipes!! 🙂 This looks delicious! This is purely the light bulb moment… I’m loving how you recreated a new dish with the leftovers. Always a favorite way to do things! But with pasta… my favorite! This looks DELICIOUS, Anne! Perfect casserole for this time of year. Happy Halloween! Such a clever idea, I need to remember this. as others have said – how clever and I’m another fan of using leftovers. I’ll remember this one for when my pumpkins are ready to use. Cheers! Wow. 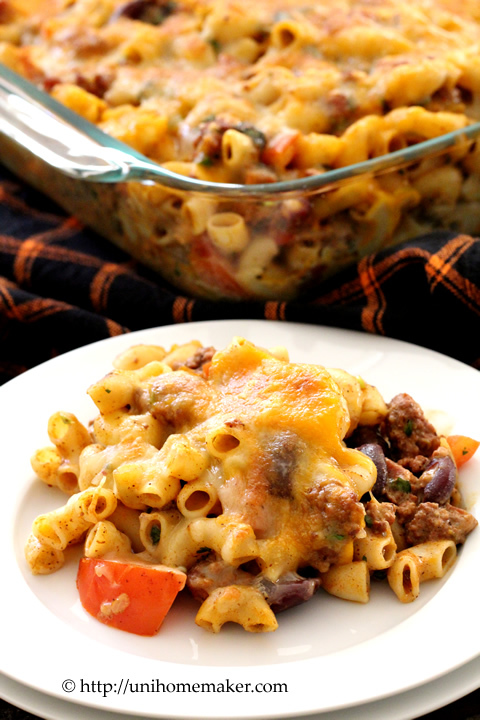 This really looks like comfort food at its best! How ingenious of you Anne! Looks perfect for an autumn meal. This looks SERIOUSLY delicious, Anne! I’ve Pinned it and will definitely be trying it! This looks delicious! 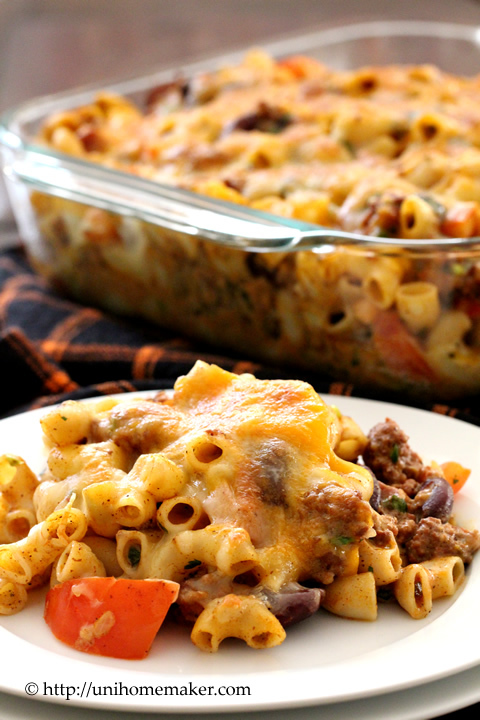 I love variations on mac and cheese and pumpkin chili sounds perfect for fall. Pinned! Love, love, LOVE this idea Anne. It looks so scrummy! Thank you for sharing at Marvelous Mondays this week! Pinned and sharing. I just love the addition of pumpkin! This is just a great week night meal! Thanks for sharing this at Saturday Night Fever Link Party!